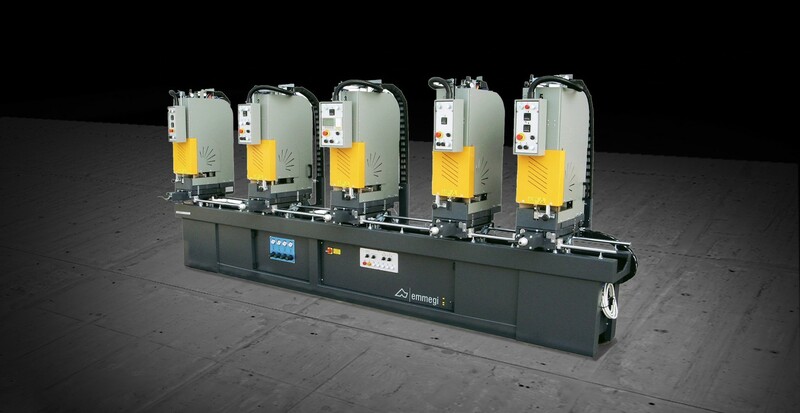 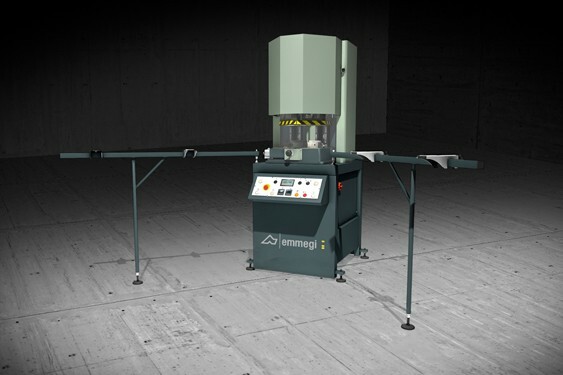 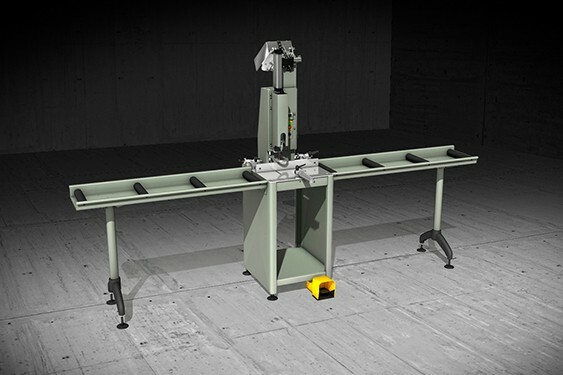 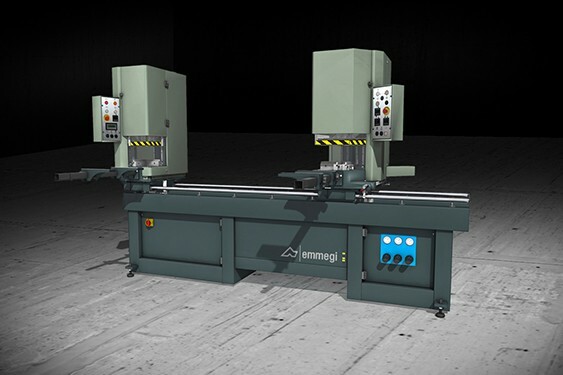 Automatic in-line 5-head welding machine for right angle corners and also corners in the range 30° to 180°, T, H and cross welding. 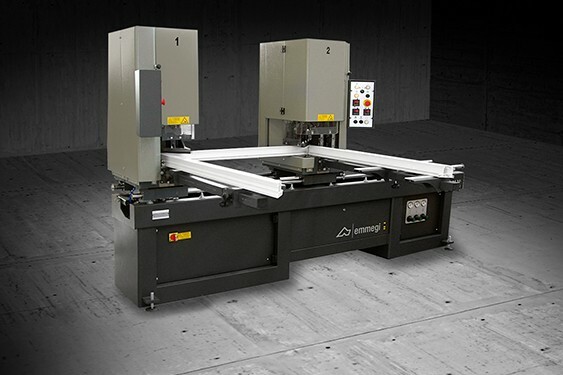 FUSION 5 TVH comes in 2 working lengths (4440 and 5440 mm) and offers the possibility of welding up to 4 frames simultaneously with 1 or more heads. 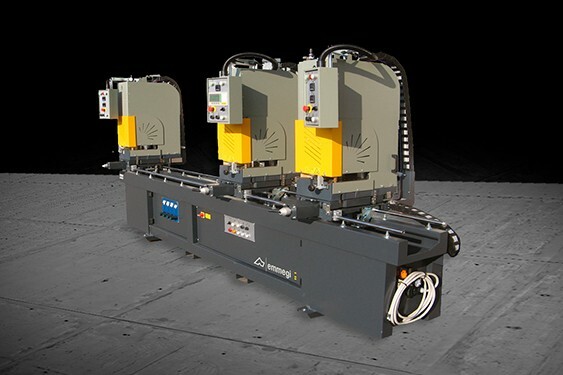 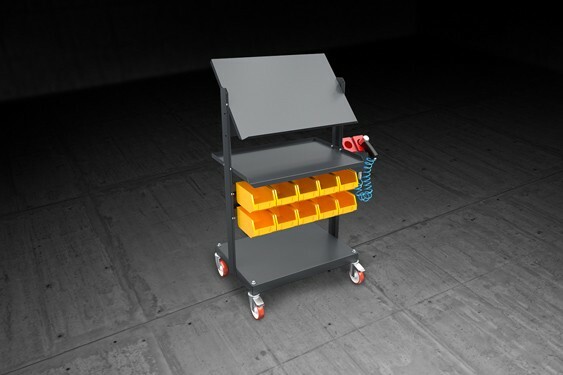 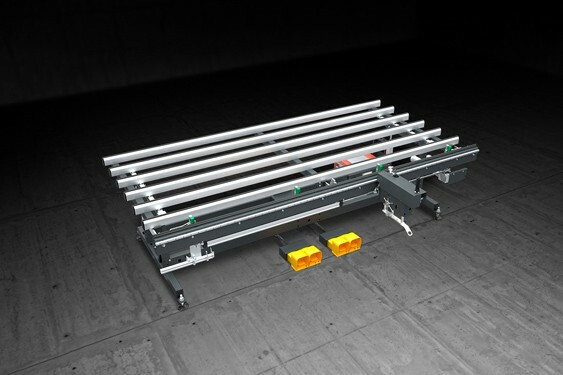 FUSION 5 TVH is provided with heated welding bead restrictors adjustable in the confi guration phase, in a range from 0.5 to 2 mm; it also has vertical vices running on linear slideways. 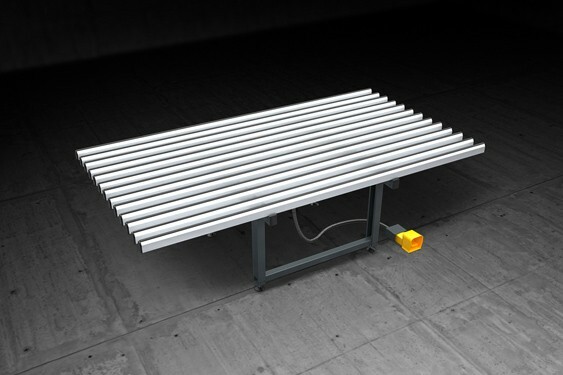 Depth of fusion can be set at 2.5 or 3 mm while the support arms feature adjustable height. 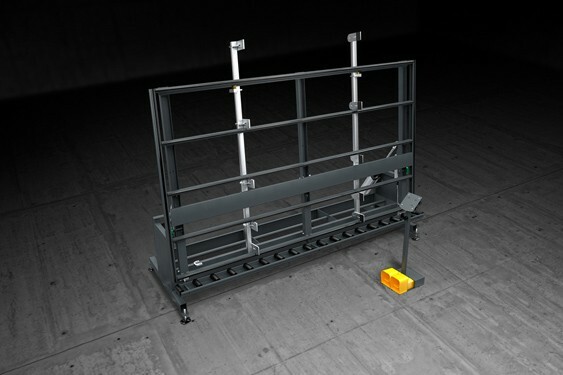 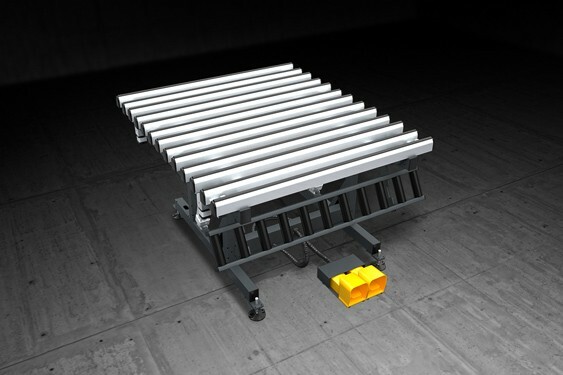 FUSION 5 TVH can be fi tted with counterblocks (optional) and can handle all types of standard profi les (including acrylic and coated) as well as large profi les (solid profi les). 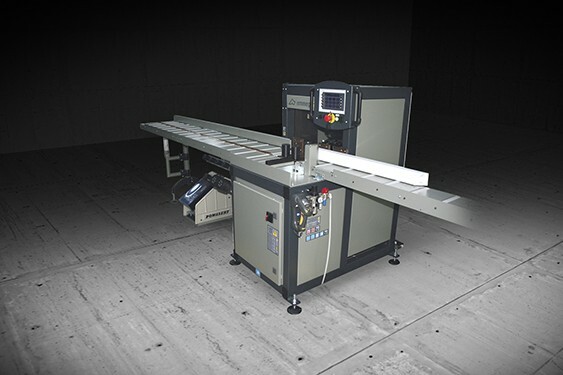 The machine, provided with a quick change system, allows easy cleaning of the tefl on fi lm. 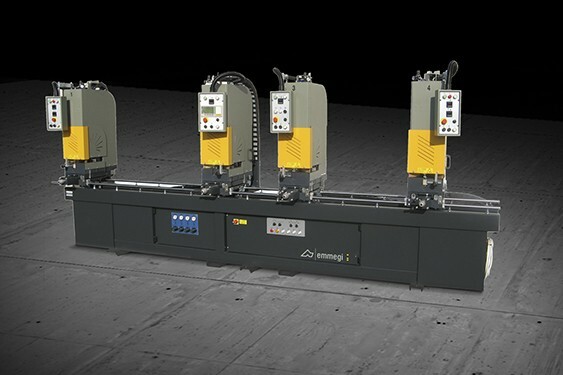 The work cycle is controlled by a PLC while the heating plate has a digital temperature controller (settable in both °C and °F); the heating time can be set via the LCD display.